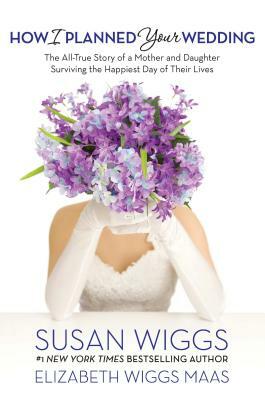 How I Planned Your Wedding: The All-True Story of a Mother and Daughter Surviving the Happiest Day of Their Lives (Hardcover) | Eagle Harbor Book Co.
Bestselling author Susan Wiggs literally wrote the book on happily-ever-after love. But orchestrating her daughter Elizabeth's real-world wedding turned into a different story altogether, and one that takes two to tell--the mother and the bride. Here is the all-too-true tale of a mother and daughter collaborating on life's ultimate celebration--a dream wedding. Often poignant, sometimes irreverent and always hilarious, this charming book is also packed with useful advice from both ends of the cupcake-tasting table. Join mother and daughter as they wade through the trenches of flowers and favors, grueling gown decisions...and the cold, cruel realities of a budget. With luck, love and loads of patience, they come out on the other side, bloodied but unbowed, replete with life lessons--and closer than ever before.